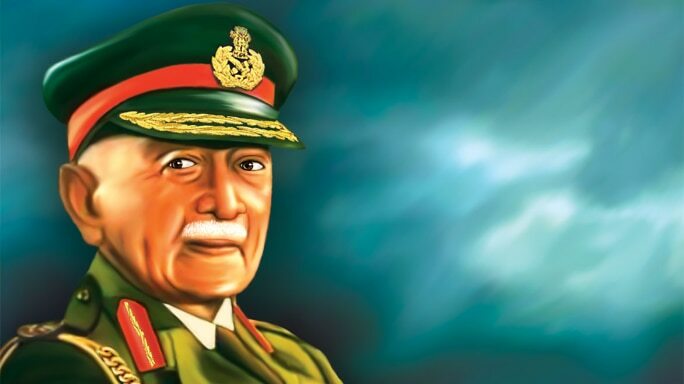 India’s first post-Independence Commander-in-Chief, and one of two individuals ever to be appointed Field Marshal—the Indian Army’s highest attainable rank—Kodandera ‘Kipper’ Madappa Cariappa will always remain a legend in the history of our country’s armed forces. During a tour of south India, my husband (then an army Major) and I were passing through Mercara, Coorg (now Madikeri, Kodagu). 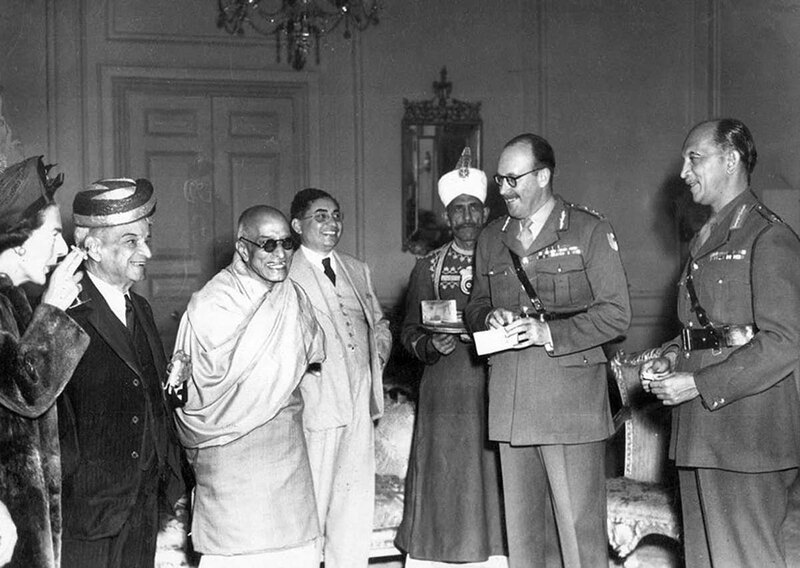 Hearing that Cariappa, then a General, had let it be known that any army officer in Mercara was welcome to visit him, I asked my husband if we could visit the great man we both admired. “Why not?” he said. A quick call later, we were on our way to see the General at his villa where he stayed alone on a sprawling estate. It was late evening and pouring with rain by the time we reached our destination. A member of the domestic staff appeared on the porch holding a big umbrella for us. The General was standing on the verandah. He gripped my husband’s outstretched palm in a firm handshake and smiled at me, “Welcome to my house.” He stepped aside with typical, old-world courtesy to let me enter first. The room was filled with antiques and mementos. A sandalwood chariot drawn by seven horses with figures of Lord Krishna and Arjun in a huge glass case dominated one corner. The General poured my husband a drink from a bottle labelled ‘specially bottled for General K. M. Cariappa’, and then some coffee for me. The men spoke and General Cariappa answered my occasional questions with great care. I asked him if he had considered writing his autobiography. His eyes suddenly clouded over with pain. 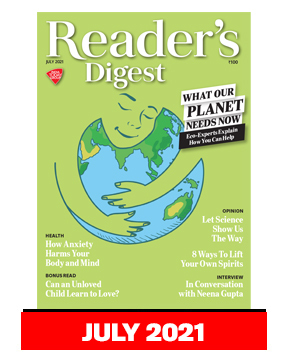 He leaned towards me with great intensity and, in his highly anglicized Hindi, asked, “Meri autobiography? Uddeshya kya hoga? (My autobiography? What would be the purpose of it? )” His bitterness over Indian politics was evident, as he spoke in that gruff voice, mixing English with Hindustani: “I had told [Prime Minister Jawaharlal] Nehru long ago, and repeatedly, not to trust the Chinese. I had warned [India’s Defence Minister at the time, V. K. Krishna] Menon in no uncertain terms. However, they paid no attention. Bilkul nahi (Not at all).” General Cariappa loved the Indian soldier fiercely and grieved over the carnage of the 1962 war. 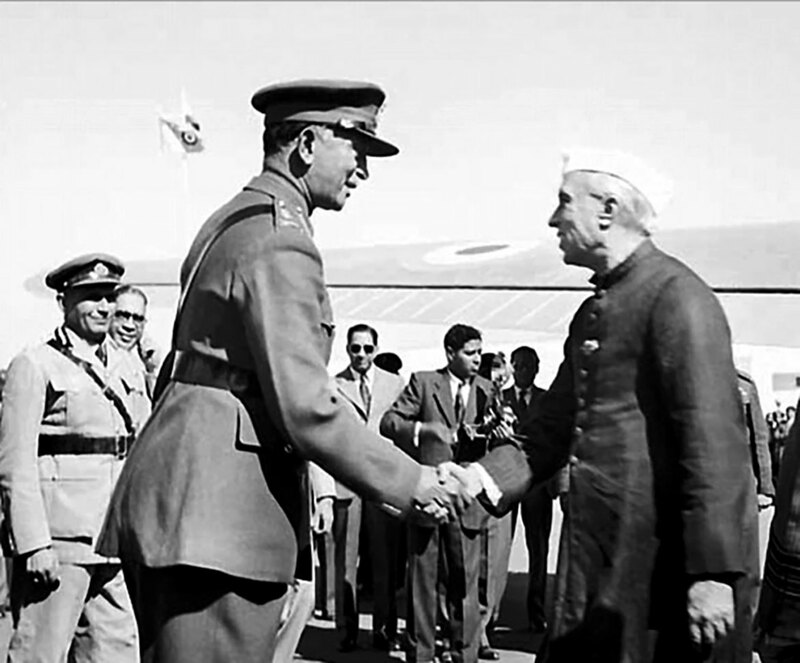 Cariappa (left) shakes hands with (then) Indian Prime Minister Jawaharlal Nehru. Then he shook his head as if to free himself from the unpleasant memories and invited me to sit next to him. “Come, I’ll show you some old photographs.” For me, it was a journey into the not-so-recent past. I remember him holding out a large photo of himself next to King George VI and the Duke of Windsor [Formerly King Edward VIII, who married American socialite and divorcee Wallis Simpson and abdicated soon after]. “Notice the sloppy George—droopy and unkempt. Now look at the Duke—how trimmed and smart he is.” The difference between the two brothers was really remarkable. I could not stop thinking of how Wallis Simpson (later known as the Duchess of Windsor) was responsible for altering the entire course of history of a country. Their glasses were refilled. I was given some fresh coffee. We had planned for the protocol-mandated visit of 20 minutes, but he waved us down every time we tried to take leave. 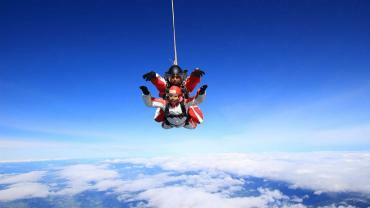 It finally lasted for 120 minutes. “By the way, you both are having breakfast with me tomorrow at nine.” It was more of a command, delivered as we rose to leave. He sat back with his aching leg stretched out in front of him and begged to be excused for his poor manners. In the gently lit room littered with history, the legend himself had an aura around him as he looked up at us, his stern expression softened by his smile as he bade us goodnight. When we reached his mansion the next morning, the General had just finished his bath and entered the room. Wordlessly, he nodded to us and walked up in front of a portrait of his parents to say a silent prayer. 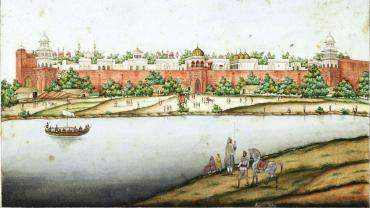 He then moved in front of the tall, silver statue of an army jawan, standing conspicuously on the mantelpiece. It was a moving prayer to the soldier invoking him to guard his country with courage and dedication. Tears welled up in my eyes as I saw the veteran sentinel of the country, standing immobile, saluting the statue. I was sure, in those moments, General Cariappa saw in his mind’s eye not the symbolic figurine, but columns of disciplined soldiers, standing to attention, hanging upon every word of shabash (praise) he gave them. He then shook hands with my husband and returned my greetings warmly, talking as he led us into the dining room: “I pray to my parents, thanking them for bringing me into this world and giving me so much. 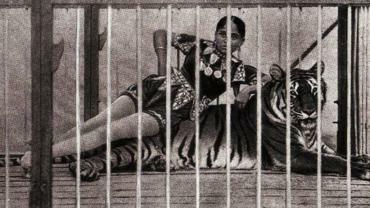 I thank the jawan for looking after my country and pray to him to do so always.” Once again, a feeling of déjà vu crept over me, of having stepped into a historical romance, familiar yet intriguing, as he pulled a chair for me to sit next to him. He picked up a bell—more like a gong—by his plate. The staff entered the room silently, even before the peeling of the bell had died down. The General commanded, “Bearer, nashta lao (Breakfast, please).” I thought to myself how this generation, though patriotic to the core, was steeped in the British way because of an English education and constant interactions with the British. They even spoke like them. The General ate porridge from a huge, floral English bowl—a present from British royalty long ago. It had broken into two but was neatly joined back together with Araldite. He smiled as he found me looking at it and explained that he was sentimentally attached to it. The idlis were steaming hot and so was the coffee. He invariably spoke about the army, politics, philosophy and of Sri Sathya Sai Baba of whom he was an ardent devotee. Afterwards, he took us on a tour of the house. I still remember the big, brass four-poster bed in the guest room with magnificent twin cut-glass Czechoslovakian table lamps on both sides of the bed. He smiled with pleasure when we expressed our appreciation of their elegance. 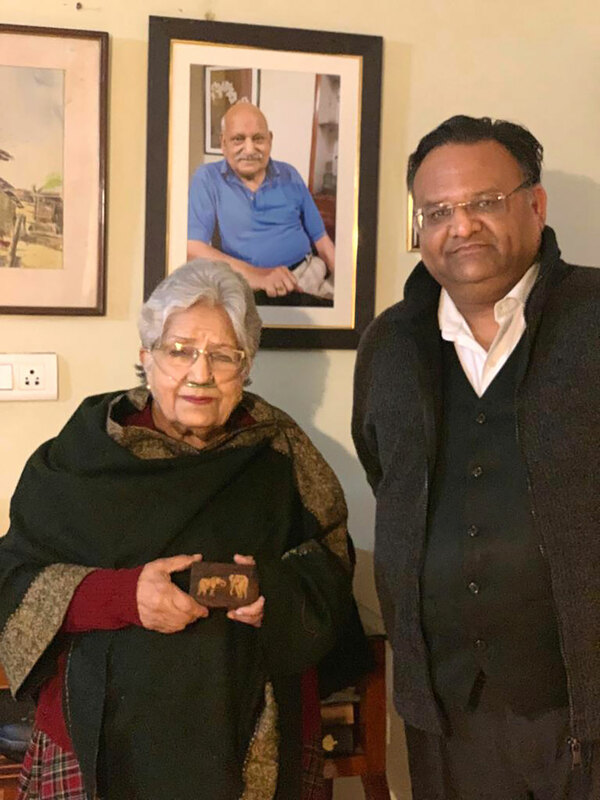 The author (left) with her son Prashant and a portrait of her husband, the late Col. Bimal Kumar Jain. In her hands is the gift from Field Marshal Cariappa. Years have passed. But even now, as I hold the paperweight in my hands, I can still see him clearly, standing under the morning sky—tall and well-built, head held high and a hand raised in the final greeting as we drove away. Field Marshal Cariappa may be no more, but his spirit keeps a silent vigil over his beloved country, forever.